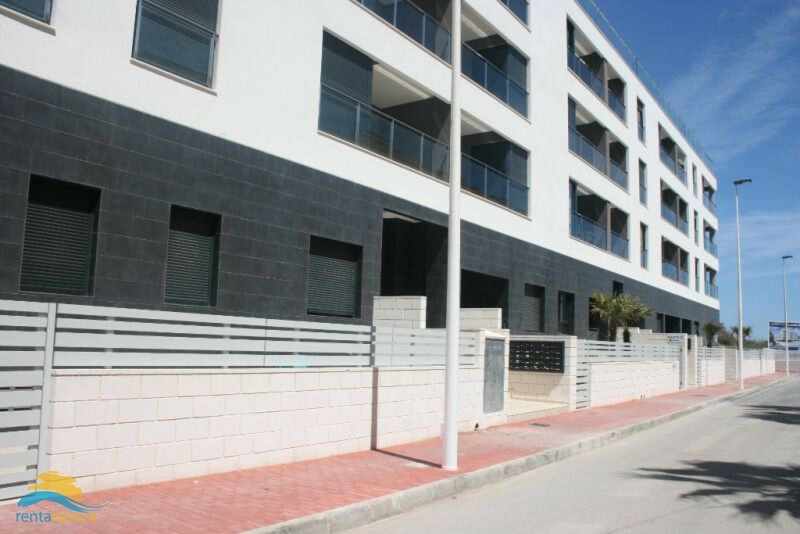 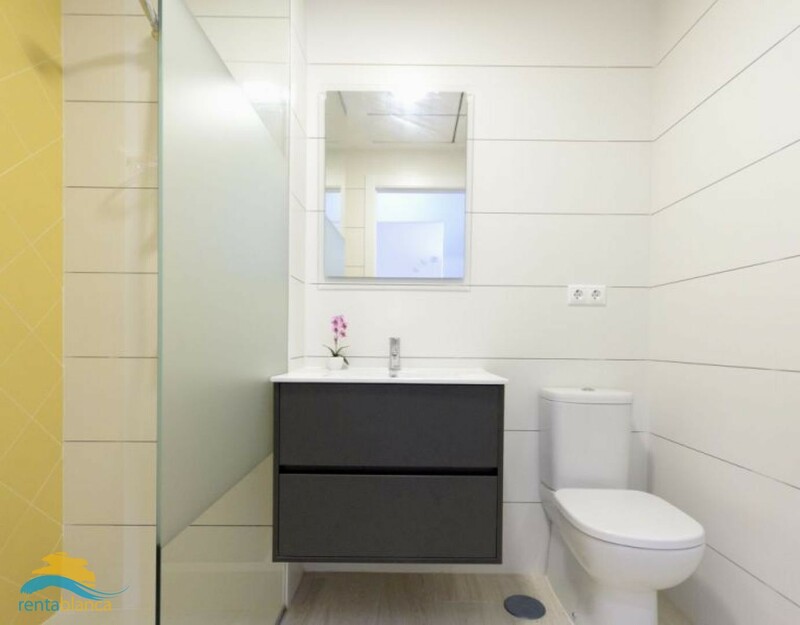 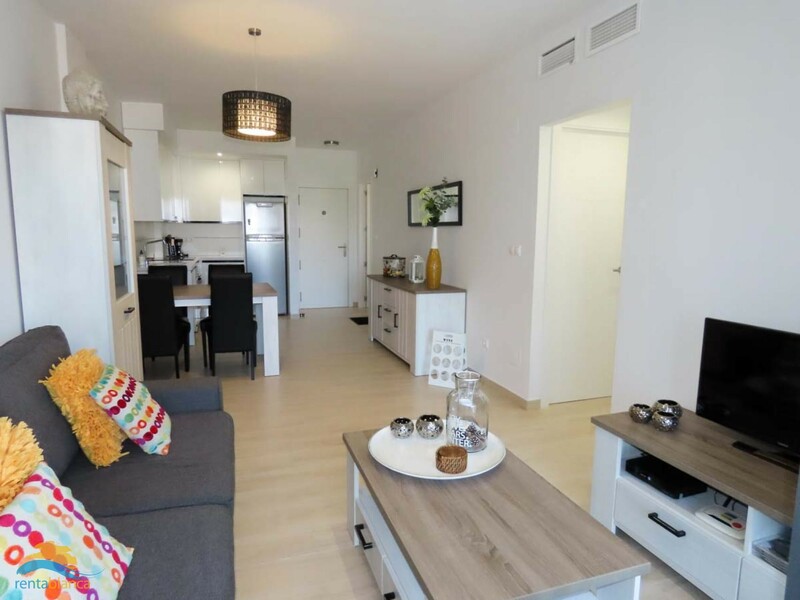 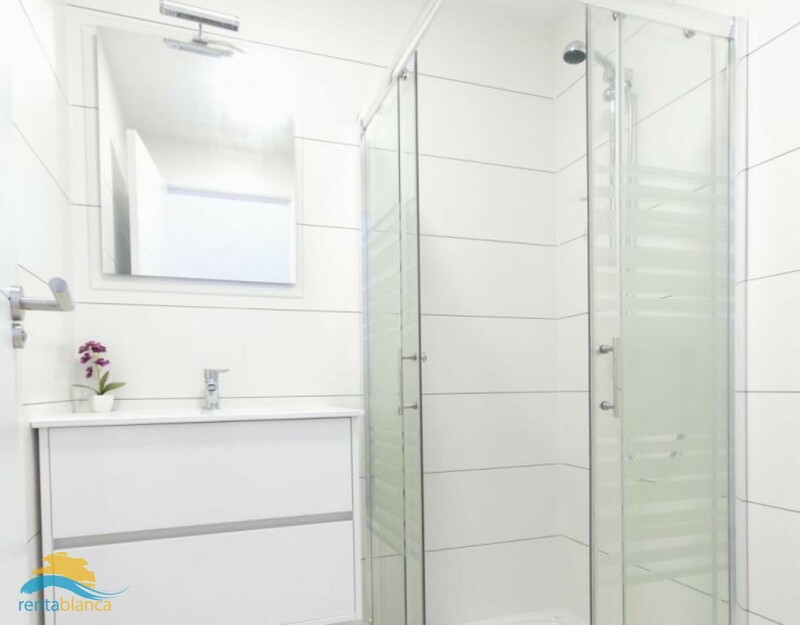 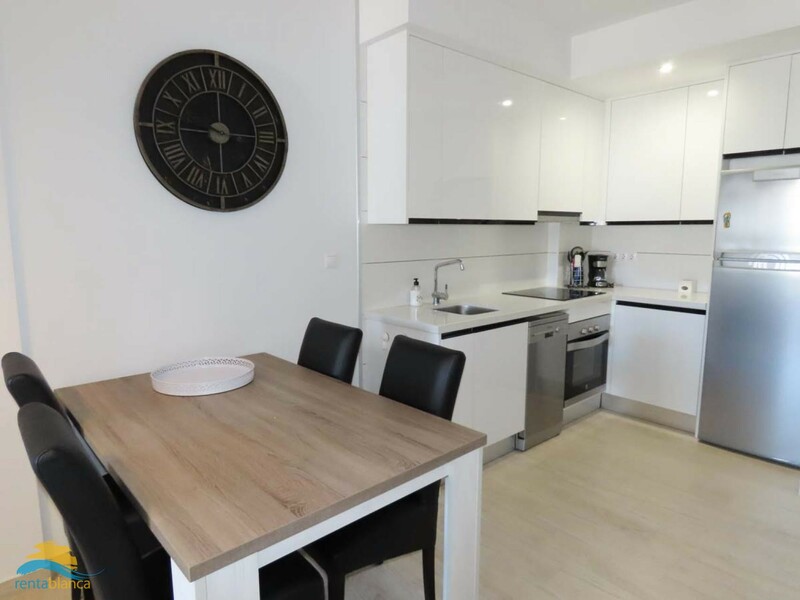 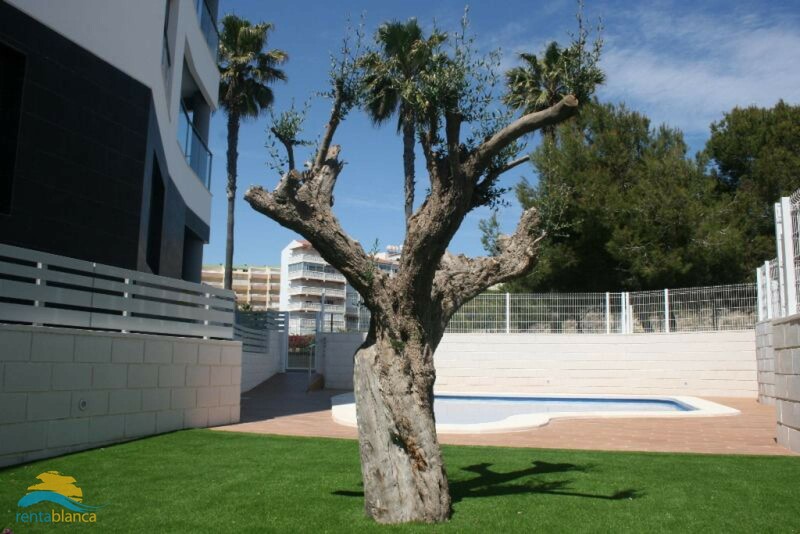 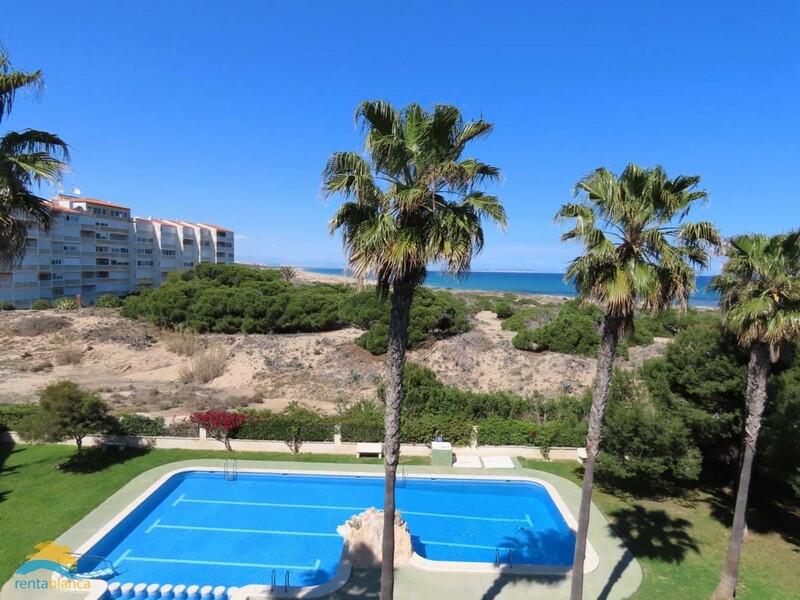 A beautiful new build apartment less than 100 meters from the beach. 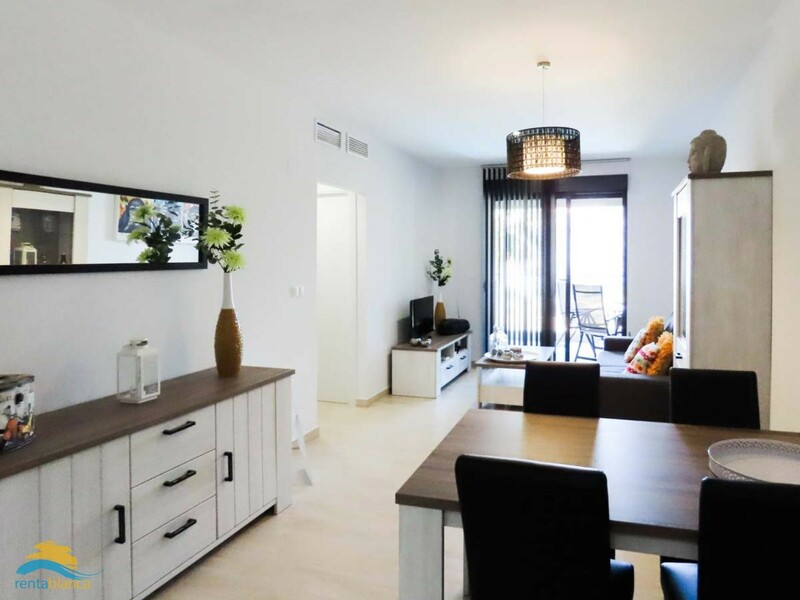 The apartment consists of 2 bedrooms and 2 bathrooms. 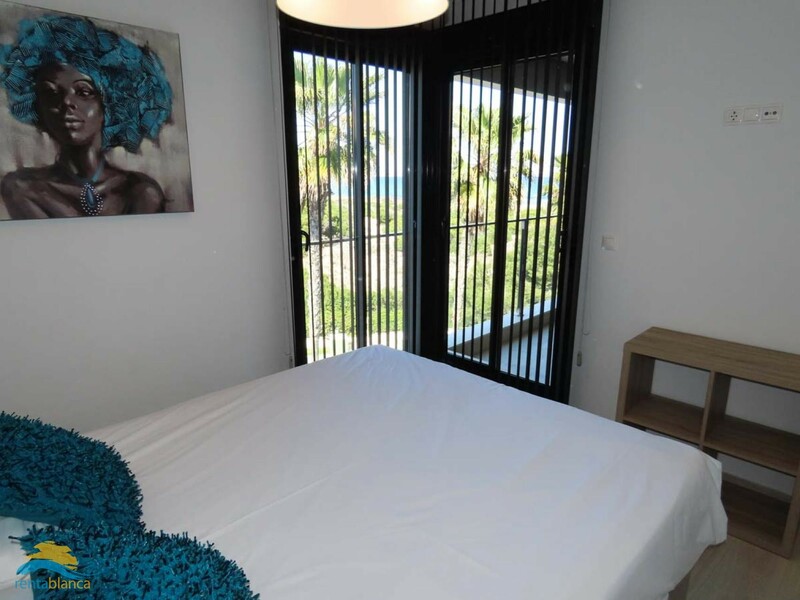 The apartment is very attractively furnished and equipped with all conveniences and comforts. 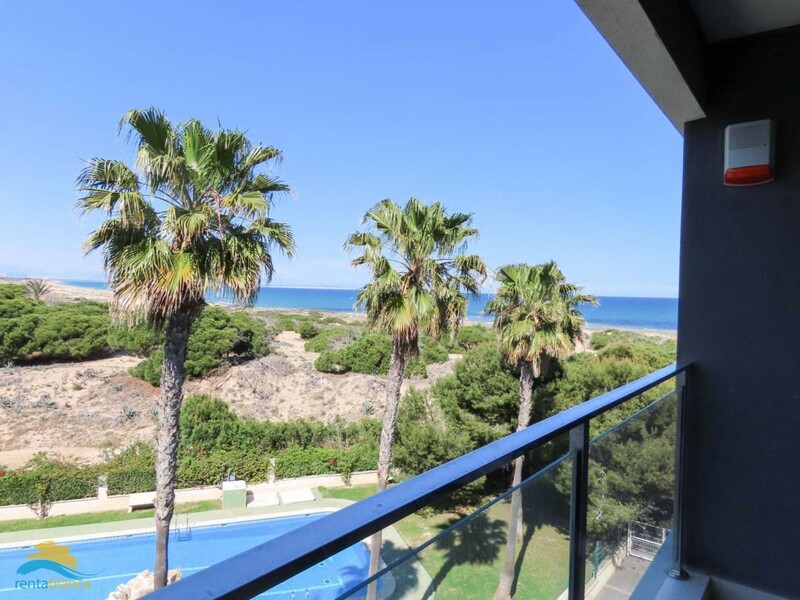 The apartment is on the 3rd floor and has beautiful sea views. 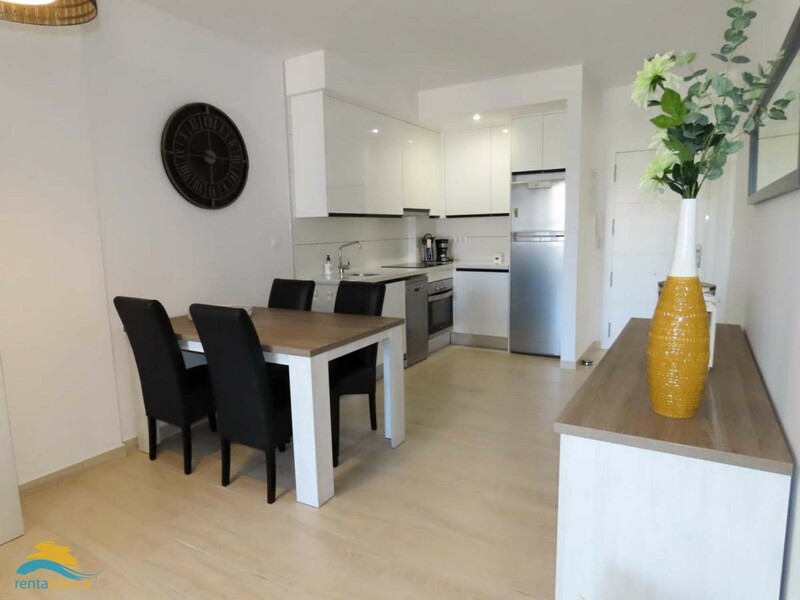 All facilities are available: a fully equipped kitchen with dishwasher, air conditioning in all the rooms, Wi-Fi internet, TV with international channels, private parking place in parking garage. 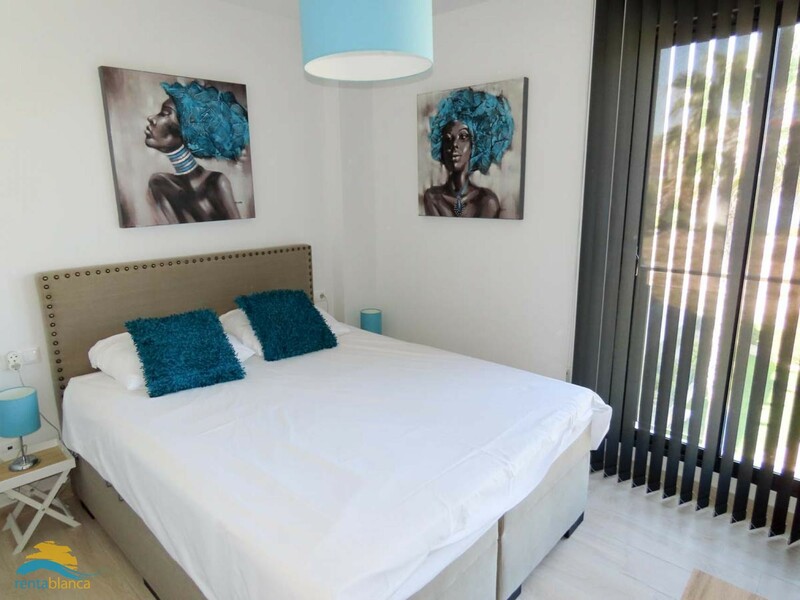 One of the bedrooms is equipped with 2 single beds; the second bedroom is equipped with a double bed. 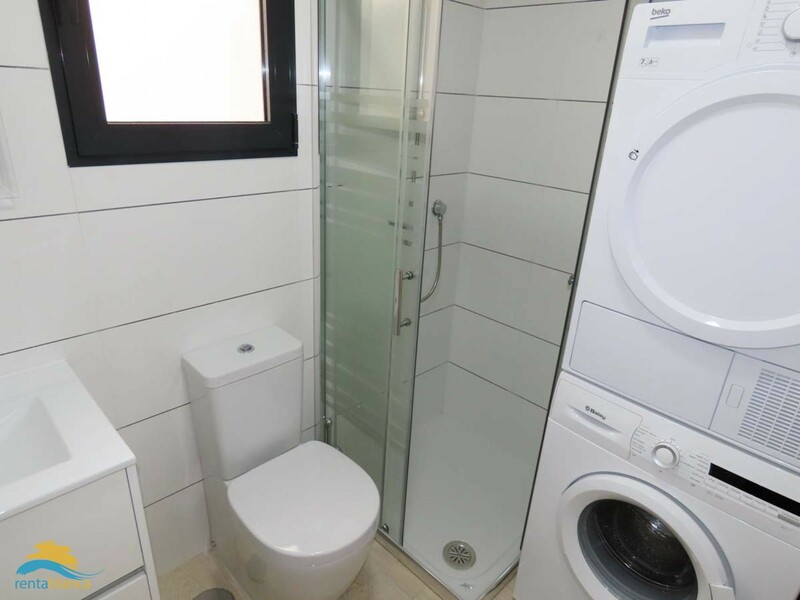 Both bedrooms are equipped with a shower and a toilet. 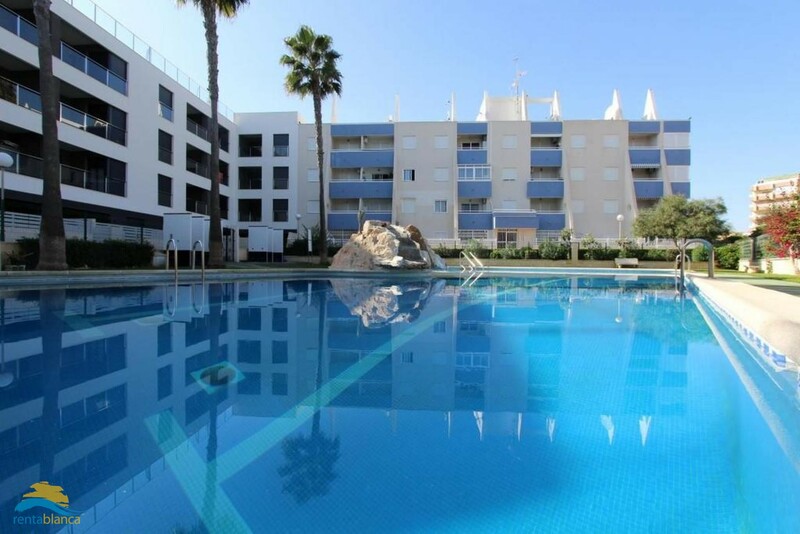 At the complex are two large swimming pools. 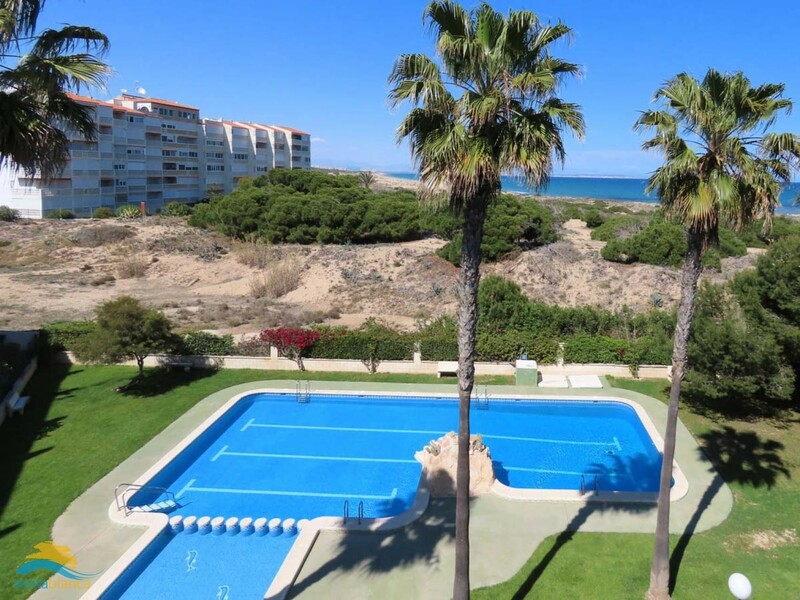 From the balcony you have a view of the main pool. 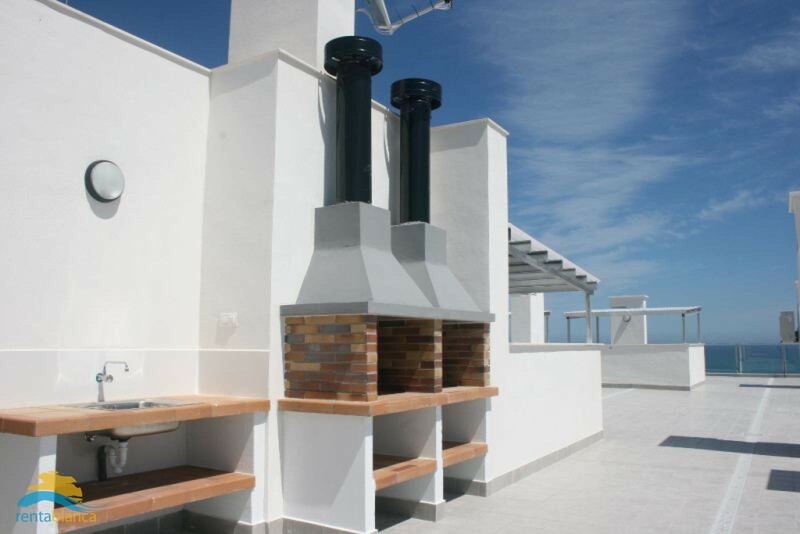 On the very large roof terrace, accessible via the stairs, barbecues are available for you to use. 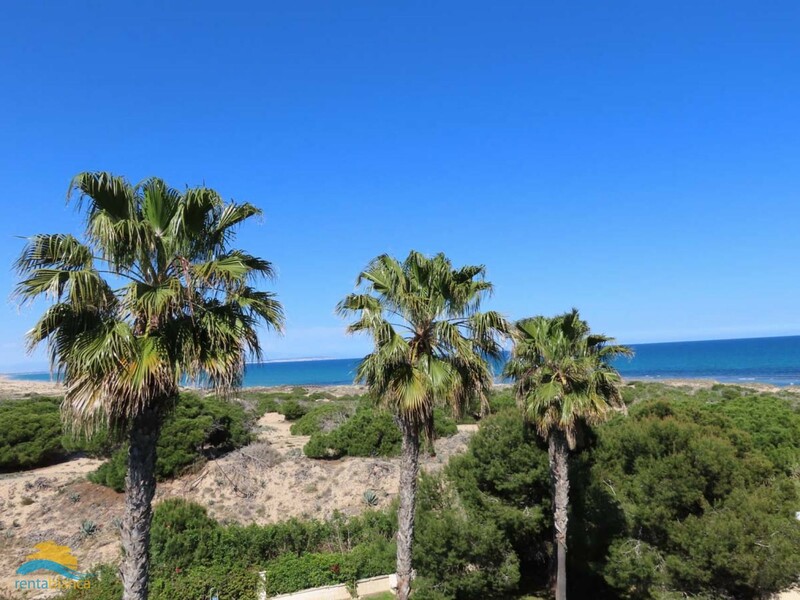 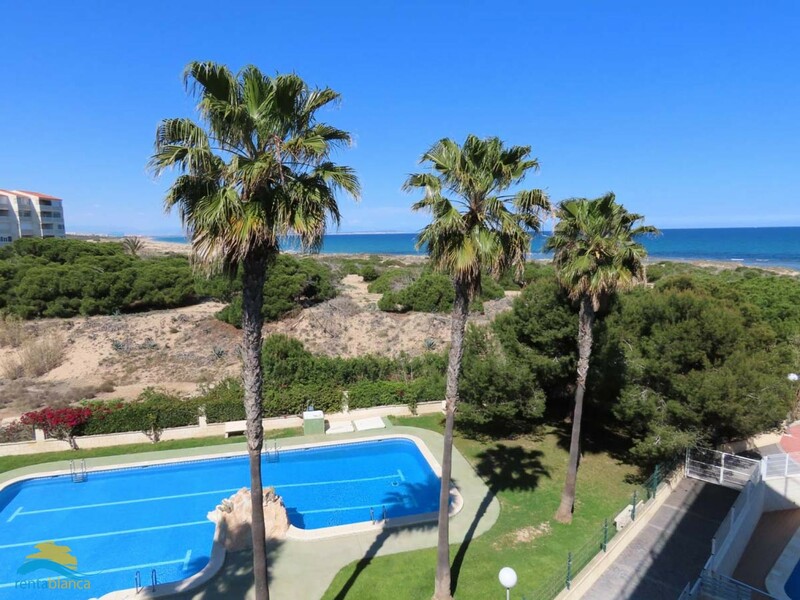 La Mata is known for its beautiful dune area and has the longest sandy beach of Torrevieja surrounded by nature reserve. 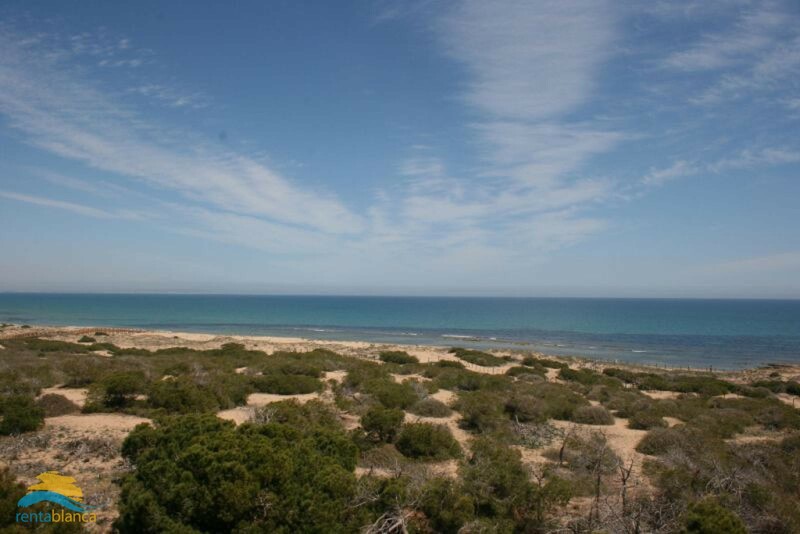 The small Spanish village of is set amidst the seaside towns of Guardamar and Torrevieja.